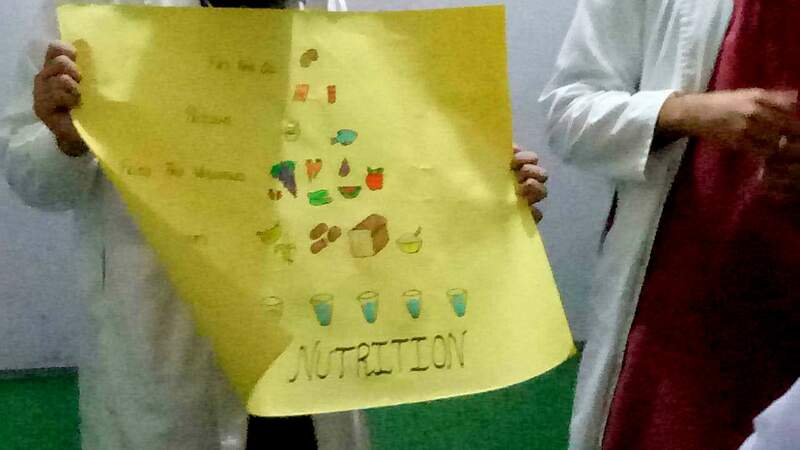 Health education builds students' knowledge, skills, and positive attitudes about health. It motivates students to improve and maintain their health, prevent disease, and reduce risky behaviors. The middle years of childhood are extremely sensitive times for a number of health issues, especially when it comes to adopting health behavior that can have lifelong consequences. 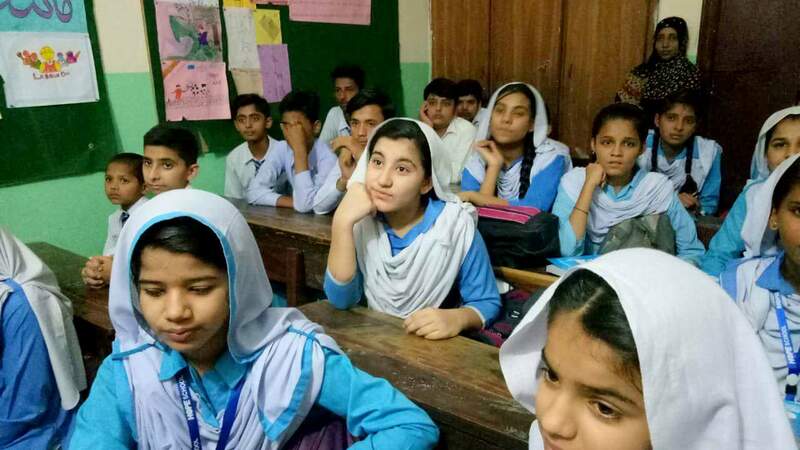 Moreover, children are key to educate society because children take that education to their home spreading among their family members and people surrounding them. 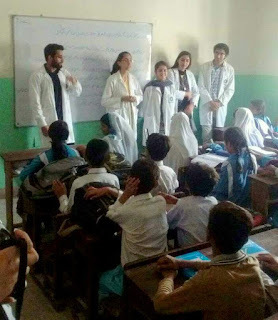 HOPE- a health NGO in Pakistan has been a forerunner in providing for health facilities for all ages and all casts. 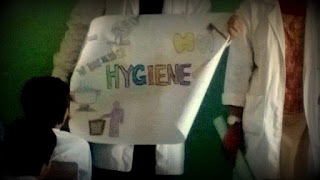 But educating children is just as important and HOPE welcomes any such organization who works to spread awareness about health and hygiene. 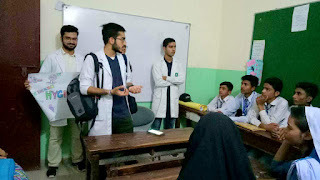 One organization and a renowned Hospital named Aga Khan University Hospital was kind enough to send a team of twenty doctors to talk to children of HOPE school. Zia Colony School which entails 610 students studying up to matriculation and is now supported by individual donors, welcomed this team of twenty doctors who spoke to the children about hygiene. These sessions were highly productive and informative and taught a great deal to the students. 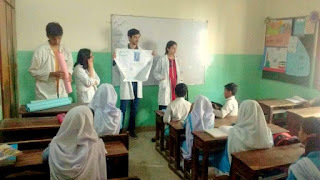 At HOPE- an educational NGO in Pakistan, students from grade IV to X were strained upon adopting healthy habits which include hand washing, early to bed and early to rise routine, playing safe games, and improving eating habits. Activities were arranged which enforced students to choose healthy and safe habits for themselves and which make them realize the consequences of bad habits on their health. 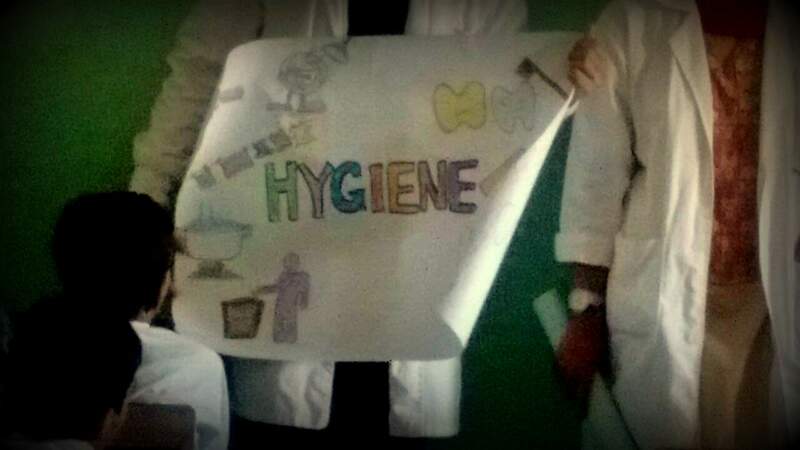 Teaching the basics of proper personal hygiene is important for keeping kids healthy and clean. It’s especially important for younger children to practice good hygiene -- particularly hand washing -- because they spend so much of their time in close contact with each other in the classroom, sharing everything from desks and chairs to germs. And when your child reaches adolescence, hormonal changes will lead to increased production of oils in skin and hair and an increase in body odor. That’s when you will be glad you didn’t wait till then to instill good health and hygiene habits! Under the leadership of Dr. Mubina Agboatwalla- a child specialist in Karachi, HOPE has been educating thousands of children each year, and such sessions only add their knowledge and their usefulness is very prominent.